Lavin is no stranger to right-wing outrage. About a year ago, she made a mistake  while working as a fact-checker for The New Yorker, misidentifying the tattoo on an Immigration and Customs Enforcement officer and veteran as white supremacist imagery when in fact it was a symbol from his platoon while deployed in Afghanistan. Lavin corrected the error within minutes , apologized , and deleted the tweet she had written about it “so as not to spread misinformation.” Despite the quick correction and apology, ICE’s official Twitter account posted a clarification  about the tattoo in question and a press statement  that called out Lavin by name. After that, the entire right-wing media ecosystem followed suit. They found Lavin an irresistible target for far-right audiences: a Jewish, progressive female journalist who had publicly made a mistake. She resigned from her job after making the error, but that didn’t stop  right-wing  media  from giving the events  wall-to-wall coverage . What ensued was anti-Semitic and misogynistic harassment targeting Lavin online for weeks, with her pictures posted to anonymous message boards and her Twitter mentions flooded with violent threats and insults. Nazi sympathizer  Milo Yiannopoulos even bragged  about harassing her with a coded neo-Nazi symbol. All of which explains why right-wing media  jumped  at a new opportunity to feed the many anti-Semitic, misogynistic trolls in their audience, using Lavin’s upcoming teaching position at New York University’s journalism school. Fox News aired multiple segments with the news of Lavin’s hiring, with Ingraham focusing on it during prime time. The hypocrisy of Ingraham’s outrage over Lavin was underscored by an earlier segment in which Ingraham painted conservatives as martyrs of liberal attacks against free speech on college campuses. 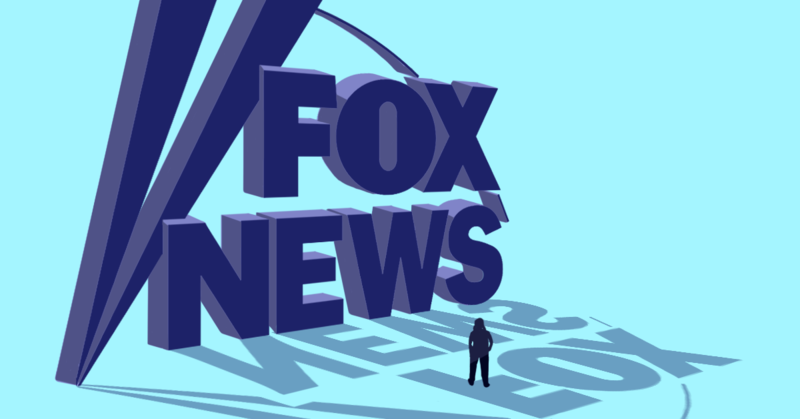 With its history of airing blunders , inaccuracies , sycophantic  propaganda , and downright stupidity , Fox News is hardly the best messenger to promote journalistic integrity and best practices in reporting. And unlike Lavin, Fox repeatedly refuses to apologize . The network’s record of catering to the far-right  and fostering extremism  shows the hollowness of its concern about who is teaching a journalism course on covering the far-right. And as someone who has actually worked closely with Lavin in covering extremism, I can confidently attest that the mistake she made -- which right-wing media continue to hypocritically weaponize against her -- hardly tarnishes her journalistic talent, her wide-reaching knowledge of the far-right and its insidious mechanisms, or her relentlessness in the face of the harassment that right-wing media continue to incite. In short, many at Fox News, including Ingraham, should take Lavin's class.